It seems strange writing about the ONZ Championships in October, but in some ways it is perhaps fitting that the National Championships have come, once again, not withstanding the Auckland and Wellington Champs to come, more or less at the end of the season. The ONZ Champs reported on below were the final chance for athletes to lay claim to places in the National Squads for 2018, and as is shown later, several did just that. There is also a report on likely changes to the HP plan, this include not only to the criteria for qualifying for the squads, but also the introduction of specific performance criteria or expectations for WOC and JWOC selection. After a wet, wet spring for most of the country Hawkes Bay, perhaps as expected, turned on the weather for the ONZ Championships at Labour Weekend. With the long weekend only three days, rather than the usual four when the championships are at Easter, the sprint on Friday meant a day off work or study for many. However, it was worth it, with for the second year in a row the sprint being held in a town centre rather than the more usual campus settings that we get in New Zealand. The alleyways, courtyards, schools and roads of central Hastings proved a fitting venue even if Ross Morrison’s courses were perhaps a tad on the longer side. In M21E a clear fastest time went to visiting Swiss Florian Schneider, hot off 7th and 5th places in the final round of the IOF World Cup. 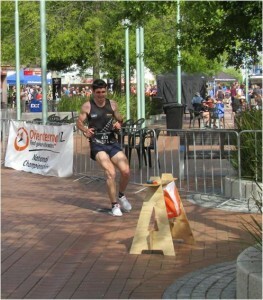 Florian was 38 seconds ahead of Gene Beveridge who took the ONZ title by 10 seconds from Matt Ogden. Another visitor, Norwegian Jonas Klausen Espedal, was next with Tom Reynolds the third Kiwi. However, fastest time on the course by a New Zealander went to JWOC silver medallist Tommy Hayes who took out M20 by 29 seconds from Cameron de l’Isle who just edged out Devon Beckman for the silver. In W21E it was a rerun of yesteryear as Amber Morrison, 11 years after her last appearance at JWOC, in Lithuania, made a winning return to the Nationals. There was a rather disappointingly big spread in the women’s field with Amber’s margin over Renee Beveridge in 2nd being 47 seconds and then another 30 back to Georgia Whitla. There were similarly wide margins in the small W20 field where Danielle Goodall took the title from Heidi Stolberger, with Ellie Molloy 3rd New Zealander. M21E, 4.5k: 1. Florian(NW) Schneider (SUI) 17:03, 2. Gene Beveridge (NW) 17:41, 3. Matt Ogden (NW) 17:51, 4. Jonas Klausen Espedal (NOR) 17:54, 5. Thomas Reynolds (BP) 18:33. W21E, 3.8k: 1. Amber Morrison (HB) 17:23, 2. Renee Beveridge (NW) 18:10, 3. Georgia Whitla (PP) 18:40. W20, 3.8k: 1. Danielle Goodall (CM) 18:36, 2. Heidi Stolbeger (NW) 19:25, 3. Lea Leuenberger (SUI) 20:09, 4. Eveline Husner (SUI) 20:34, 5. Ellie Molloy (WN) 20:47. Saturday’s middle distance saw courses start in the slumped terrain along Rowe Road, first used as a model event for the 1994 ANZ Challenge. The main feature though was the addition of a lovely patch of native bush with topography which was reminiscent of this year’s WOC middle distance – a maze of depressions and narrow ridges which made for complex route choice to minimize the climb, plus the extra of deer fences to negotiate, terrain that planner Devon Beckman made excellent use of. Matt Ogden, following his strong performances at the Australian Champs was a clear winner of the ONZ title with a two minute margin over Chris Forne, with gene pushed into 3rd. All, however, were again shown a clean pair of heels by Florian who was fastest by over 2 minutes. In W21E Amber took her second title in two days with over a minute to spare over Penny Kane. Penny’s finish, her 3rd top 3 placing in the last 2 years, was enough to secure her place back in the National senior Squad for 2018! Fourteen seconds behind Penny, Renee took her second placing of the weekend. In M20 and W20 there was a Cory-Wright double, with Ed, still on the recovery from glandular fever, and Katie taking the wins by just over, and just under a minute, respectively. In the men Friday’s 1-2 of Tommy and Cameron were pushed into the minor placings, with Danielle and Kayla Fairbairn filling them in W20. M21E, 5.6k, 295m: 1. Florian(NW) Schneider (SUI) 35:23, 2. Matt Ogden (NW) 37:35, 3. Chris Forne (PP) 39:35, 4. Gene Beveridge (NW) 41:00. 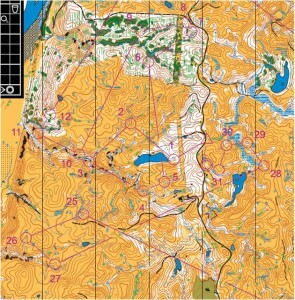 W21E, 4.3k, 245m: 1. Amber Morrison (HB) 39:58, 2. Penny Kane (BP) 41:20, 3. Renee Beveridge (NW) 41:34. M20, 4.3k, 245m: 1. Ed Cory-Wright (PP) 32:48, 2. Tommy Hayes (AK) 33:37, 3. Cameron de l’Isle (NW) 33:48. W20, 3.8k, 185m: 1. Katie Cory-Wright (PP) 34:20, 2. Danielle Goodall (CM) 35:26, 3. Kayla Fairbairn (NW) 37:41. The long distance on Sunday on the picturesque Hautope – rolling to steep largely open terrain – saw the M21E covering over 15 kilometres with a massive 750 metres of climb. The women were similarly challenged with 10.2 k and nearly 500 m. Despite these distances both races proved to be very close. In the men, with Florian retiring as a show fell to pieces, the first three were the same Kiwis as in the middle – Matt, Chris and Gene covered by only 35 seconds. It was even closer in W21E where Renee, the last starter, overhauled Amber over the last 2 controls to win by a mere 9 seconds in over 95 minutes. There was also an excellent result for Sonia Hollands, taking the bronze in her first year as a senior. Perhaps the most impressive performance, however, came in W20, where Katie Cory-Wright pulled out a magnificent race to win by over 8 minutes from Danielle and Kayla who were themselves separated by 9 seconds. Things were a little closer in M20 although Devon, after the previous days planning duty, still had a 3 minute margin over Cameron, with Tommy pushed into third. M21E, 15.2k, 750m: 1. Matt Ogden (NW) 1:44:04, 2. Chris Forne (PP) 1:44:28, 3. Gene Beveridge (NW) 1:44:39. W21E, 10.2k, 475m: 1. Renee Beveridge (NW) 1:35:17, 2. Amber Morrison (HB) 1:35:26, 3. 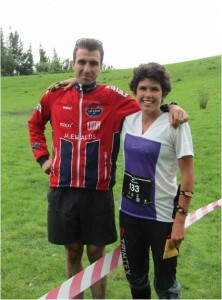 Sonia Hollands (PP) 1:40:44. M20, 10.2k, 475m: 1. Devon Beckman (HB) 1:09:51, 2. Cameron de l’Isle (NW) 1:12:41, 3. Tommy Hayes (AK) 1;16:00. W20, 6.4k, 335m: 1. Katie Cory-Wright (PP) 55:05, 2. Danielle Goodall (CM) 1:03:11, 3. Kayla Fairbairn (NW) 1:03:20. 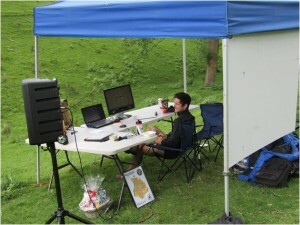 As ever the ONZ Championships finished with the relay, held back on Hautope. Lee brought Hawkes Bay up from 10th. The big threat however came from teams with men on leg 3 – Bay of Plenty with Darren Ashmore and PAPO with Chris Forne taking off in 4th and 5th a further minute back. So it proved with Chris putting in a stunning run to bring PAPO home in 1st place, with Darren, despite running the second fastest time on the leg, 3 and a half minutes behind. It was Renee who struck a blow for the women bringing North West home for 3rd. Relay 1. PAPO (Tane Cambridge, Katie Cory-Wright, Chris Forne) 1:40:43, 2. Bay of Plenty (Tom Reynolds, Rachel Smith, Darren Ashmore) 1:44:06, 3. North West (Gene Beveridge, Sebastion Safka, Renee Beveridge) 1:45:17. After the discussion generated by my comments in the last HP News two points stand out from the ONZ Champs 2017. Hawkes Bay should be congratulated for, whether by design or otherwise, producing a long distance which had elite winning times of the length suggested as necessary to better prepare our athletes for WOC. Indeed the W21E time exceeded the suggested 90 minutes. Hopefully, this will now set a trend. The second point made last month was the need for a true relay for the top elites and juniors. Again, whether by design or not, the 2017 relay provided that – largely because the leg lengths and times were all similar and did not really conform to the guidelines. More to the point is that the 2017 relay, at least to my mind, demonstrated the need not only for this, but the need to separate out the elite relay from everyone else. A look at the results shows that there were only 7 other teams within 15 minutes of the winners. There was then a 5-6 minute gap to teams in 9th to 12th places, before a massive 13 minute gap to the 13th team, who were therefore well over half an hour behind the winners. The team finishing half way down the field was over 50 minutes behind the winners! Please, technical committee, time for action. As discussed at the ONZ Club Forum held in Hastings the High Performance Plan has been under inspection to see how it is holding up and where revision might be necessary. 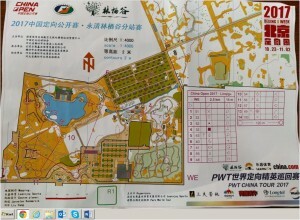 The original plan had 7 goals for HP orienteering. With the aim of setting in place structures and targets for future performance these included a new National Squad system, the reinvigoration of the SuperSeries and Pinestars-Bushrangers Test Matches, and specific WOC goals. The first 3 of these have been achieved, and indeed (although WOC itself will change in 2019 with the split into separate forest and sprint WOCs) also securing Group 2 status for both men and women. However, of the specific performance criteria only one, a top 10 place in the sprint, has been achieved, and that dates to prior to the adoption of the plan. 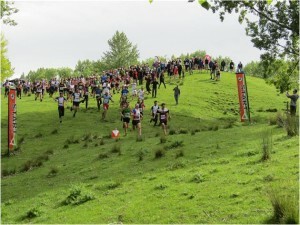 Nevertheless, as was reported at the Forum the condition of men’s orienteering at both the senior and junior level (where there have of course been 5 medals over the past several years) is relatively rosy, and at WOC level achievement is probably only hindered by the non-availability of athletes from year to year. Again, as reported, the situation with the women is not so good. At WOC level only one woman has repeatedly shown the ability to perform at this level, with possibly another being close. As has been commented, previously there have also been disappointing results at JWOC. This has led to the suggestion, heavily endorsed at the Club Forum, that it may be that a change of attitude is required along with a need to re-emphasise what is actually required to perform at WOC and JWOC levels. Some of this comes down to athlete education – which will be one focus of the Under 23 camp in December – but it also seems apparent that selection criteria need to be refined to ensure that attending WOC or JWOC is not a goal in itself, and that doing so implies a commitment to ONZ to prepare and perform to the best of one’s ability. (3) to be available for the Pinestars v Bushrangers Test Match at Queen’s Birthday 2018. The first of these sets an achievement target which is believed to be the minimum that an athlete should be aiming for at JWOC. 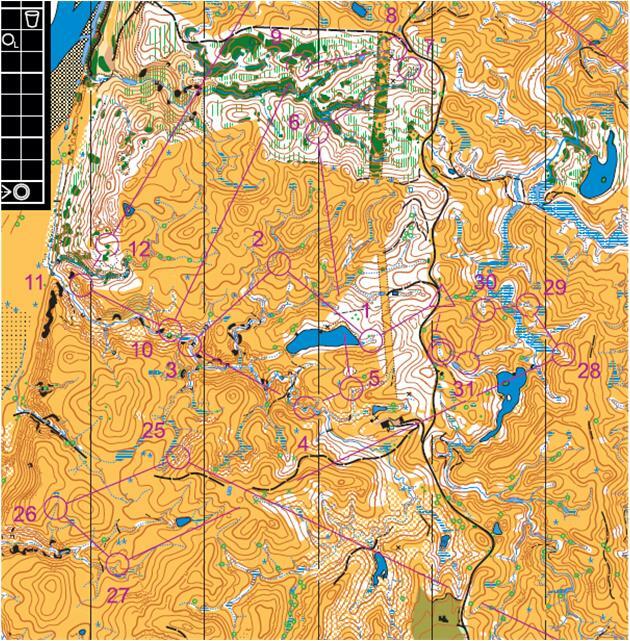 JWOC fields are typically 125-150 for the women and 150-175 for the men, thus the top 50% in the sprint or long distance may still mean a placing of 60-70, while in the middle distance it suggests a finish in at least the top half of the b final. Criteria (2) and (3) reflect the need for continued training and commitment post-selection. In fact it is also under consideration that from 2018 there will be two JWOC trials, one in late March and one in late April/early May. This, with selection for the Junior Pinestars at Queen’s birthday would provide a significant competitive lead-in to JWOC in July. (2) for middle and long distance selection, to have the technical ability and level of fitness to finish in the top 75% of the field. The sprint criterion seems elf-evident – any athlete selected for the sprint at WOC should have the goal of at least making the final. The 75% criterion for the middle and long reflects the greater strength but smaller size of WOC fields compared to JWOC, and also roughly matches the level at which team points are earned for Group status. However, from 2019 qualifying will be reintroduced for the middle distance, and (2) may need to be rewritten. (2) In the last 2 years to have 3 finishes in in M/W20E out of a combination of the top 3 in the New Zealand Orienteering Championships, the top 5 in the Australian Orienteering Championships and top 5 in the Oceania Orienteering Championships..
(3) Be a minimum age of 18 at some point during the year following squad selection. Also under consideration is extending the SuperSeries beyond Queen’s Birthday to allow for a wider choice of events. Following the ONZ Championships and adjustment of qualifying criteria, the National Squads through to October 2018 are as follows. It’s particularly good to welcome Penny Kane and Amber Morrison into the Senior Squad based on results in the last two ONZ Championships. Both have a long record of representing NZL and will present additional competition for some of the younger members. It being more than 2 years since he ran at WOC in Scotland, Shamus Morrison drops down from the Senior Squad but retains a place in the Under 23 Squad. Many members of that squad also pass out of the junior ranks in 2018 and enter the elite grades next year. They thus have 2 years in which to make their mark at that level while retaining membership of the Under 23 Squad. As ever, additions to the squads may eventuate when WOC and JWOC teams for 2018 are selected. 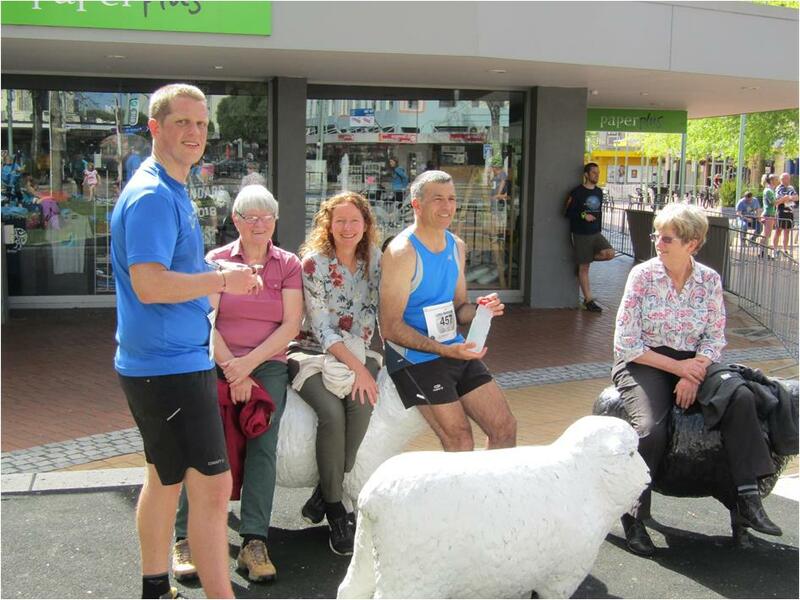 One noticeable absentee from the ONZ Champs in Hawkes Bay was Imogene Scott who passed on this in preparation for the Auckland marathon the following weekend. Looking through the results is a little bemusing as not only is Imogene Scott listed as 11th woman in 155th place in 3 hrs 24 min 43 secs, but there is a doppleganger Imogen Scott as 9th woman in 133rd place in 3 hrs 21 min 09 secs. Either way, well done Imogen(e)! Meanwhile Laura and Tim Robertson have been stretching their legs as part of the Park World Tour in China, run as part of Beijing O Week. This is a series of 5 sprint/park races with fields of about 25-30, approximately a third of these being from China or Chinese Taipei. The rest of the fields consist of a smattering of largely European athletes, some familiar from WOC, some not, from a variety of countries. Both Laura and Tim have performed well with Laura never being out of the top 3, with 4 second places and a third, but with Maija Sianoja of Finland winning on every day. Tim, with competiton from the likes of Frédéric Tranchand of France, Belgium’s Yannick Michiels and 2013 WOC Sprint Champion Mårten Boströmof Finland, finished with one win, two seconds and two 5th places. Congratulations to both Laura and Tim.